Learnin g styles are on my mind again as a second installment of my 2-week intensive “Psychology of Studying” class winds down. Like last year, I’m delighted with the class’s success: students are learning about learning while learning (ah, what fun!). Objectively, their scores on the measures of metacognition and self-determined motivation significantly increased (even when accounting for the naysayer in class who deliberately tried to skew the data set). Subjectively as well, I can see that they’ve all come a long way in two-weeks’ time. Their demeanor in class, the depth of their reflections, their engagement in activities and their one-on-one conversations reveal internalization. A gratifying thing to experience, as a teacher. For that, I am proud. As is my way though, before the class is even done (one more class period to go before our final), I am already thinking ways in which I can improve their experience of learning. The concept of Learning Styles is never easy to broach in class. Our culture embraces it. We strive for self-understanding and find labels comforting. The realization that labeling can stymie learning shakes students’ tentative sense of identity. It’s not uncommon for students to express some anger and frustration with a system that (in their words) “has lied to them.” This group has had a particularly difficult time coming to terms with the notion that labeling yourself as a particular kind of learner (kinesthetic, visual, auditory) holds you back by feeding a fixed mindset. So we’ve discussed it in detail I feel like many students really made good progress, though some are still struggling with it. At the heart of my discussion on learning styles is the fact that humans are wired to “learn,” that is change as a result of experience, through all our senses and actions. In Daniel Willingham’s words, learners are more alike than they are different, when it comes to effective engagement in the name of learning. 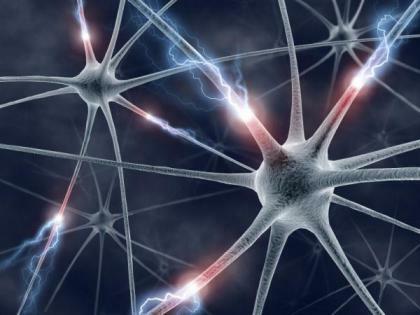 Networks of neurons in our brains connect with sensory inputs and connect with each other. Activity in each of the primary cortices (auditory, visual, motor) doesn’t occur in isolation. Our brains don’t work that way. Rather, activation spreads across cortex as each input is registered and coordinated into a situationally meaningful response. Inputs from eyes, ears, and body combine, shaping our behavior and thoughts. Learning is embodied and it’s embodied for everyone. Thinking of learning as a way of meaningfully and deeply coordinating the self in space and time is biologically plausible, whereas the learning styles perspective is not. Indeed, the point that learning happens with all the sensory and motor inputs one possesses can serve to invalidate the learning styles perspective on logic alone. Easy for me to say, though. I wasn’t raised in the learning-styles crazed educational climate (my age-cohort, instead, struggles with the lasting legacy of the self-esteem and actualization movement). Expecting my students to change their beliefs – beliefs that reflect the current cultural zeitgeist – is a tall order. But it’s not beyond them. They are in college after all and it is not outrageous to expect that they learn to critically evaluate their previously held beliefs. All that said though, changing beliefs is hard and I regularly strive to increase the effectiveness of my lessons, to this end. So, this morning I had one of those a-ha moments where I thought of an example that would have been great for this group. Though it’s too late to go back and re-do my lesson for this class, it’s not too late to share with you-all out there in the blog-o-sphere. Before getting to the illustration, let me lay out the premise. As an abstraction, the ideal is that when learners can increase the number of routes in by creating a rich and varied set of cues that represent the to-be-remembered information, their ability to later retrieve that information dramatically increases. How is this done? By combining multiple inputs (semantic, sensory, motor) in meaningfully connected ways. This is the principle that undergirds mnemonics, the power of visual imagery, and the ideal behind more technical references you see in cognitive psych text books like dual coding, encoding specificity, depth of learning, utilization of the episodic buffer, and so on. Deep learning yields a high probability of retrieval. Said this way, students do start to tune out. I wonder if saying it with a story then, a story that illustrates multi-sensory depth, might work better? So now for my example, thought of in hindsight. It’s a personal example and one I thought I’d share in the form of a little autobiographical sketch, because stories are more memorable than a list of facts, for the very point here that I am trying to make. … stressed out graduate student who needed to figure out how to manage her stress. She of course is me. For my birthday that year (my second year in, if memory serves), my sister sent me a yoga video and encouraged me to try it (my sister has always been my personal trainer and I thank her for it!). She encouraged me not to scoff, and just try it before judging. So I did, and I liked it. I liked it a lot! Copying the movements I viewed in the video and making mental note of the subtle differences between yoga positioning and ballet positioning was fun! My sister and I danced through our childhood and adolescence (ballet, flamenco, jazz) and I really didn’t like other forms of exercise. But yoga was different. There were some poses that I found too challenging, but I wasn’t daunted. It was familiar enough to be engaging, yet different enough to hold my attention and keep me focused on improvement. For the remainder of my time as a graduate student, yoga helped keep me sane. After graduating and moving to my first job several states away in a yet another utterly unfamiliar part of the country, my dedication started to slip. My apartment didn’t have a good space and the city I found myself in nearly overwhelmed my small-town sensibility. Rather than seek out a class or some like minded peers, I stopped practicing. Two years later I moved again, again several states away to a new job in a new town. As I settled into my position as an assistant professor there, the stress started to overwhelm again- it was time to pick my yoga practice back up. I dusted off my old VHS tape and plugged it in. This time I found a class to join as well and it was good. But only for so long. As the demands on my time increased (commuting, intense workload, parenthood) I let exercise slip again. On again, off again. Next thing I knew, I found myself in my 40s (sheesh, how did that happen?! ), feeling haggard and tired and again in need of a stress reduction routine. I refreshed my old VHS collection with some shiny new yoga DVDs and got back on the mat. But I found my attention and engagement begin to wane in short order. It was a real struggle to keep myself motivated. The old spark was not igniting. I found the old routines boring, so I started buying more and more DVDs, thinking I just needed variety. But then it hit me. Variety wasn’t what was leading me to let it all go, over and over again. It was depth that I was lacking. I was limiting my learning to one style, and one style only. I needed another route in. That is, relying on one learning approach – copying a model practitioner in a video – wasn’t promoting deep learning. I needed richer engagement. Yoga is a motor skill, but that doesn’t mean there’s only one way to learn it. I found some lovely books about yoga, one more philosophical in nature, another practical, yet another an illustrated encyclopedic anthology of poses, and so on. I dug into my books and started thinking about yoga in a completely different way. I put aside the DVDs, and instead put the words I was reading into motion. I learned more about the poses I’d been statically copying and found that my postures improved. I started creating my own routines. And I found that I was practicing more and more regularly, for longer periods of time, and I was really loving it. I’d found the depth I needed by integrating inputs in a rich and varied way. I’d more fully embodied the lessons by going beyond movement and incorporating semantics. At this point, I’m no yogi, but my engagement with yoga has moved to an entirely different plane with the realization that I could learn more by differing, but connecting, the routes in. So how can this experience of mine translate to the classroom? Or can it? The idea of embodiment is catching on in higher ed, with folks kicking it around in a number ways, for example, have you seen the Dance your PhD contest? The first time I saw John Bohannon’s choreographed TED talk on this, I thought it was a clever illustration of his point (and of course I enjoyed the dance! ), but I didn’t think much beyond that. In fact, when I played this video in class, I remarked that the illustration served as a nice example of creative ways in getting a point across, but I didn’t think the dancers who danced the choreography really knew more about physics because they’d danced it. But since then I’ve come to wonder if I might have been wrong. Maybe those dancers do actually know more about physics because they danced it. Combining movement with words and concepts does create a richer, more embodied experience after all. There’s an empirical question here, if I ever saw one. At the very least, embodiment gives us a richer way of thinking about teaching and learning. Stories are powerful mnemonic aides, perhaps because they not only stimulate our seemingly innate desire to engage in problem solving and reflect our internalized schema for structuring prose, but also because they promote an embodied perspective. That is, when facts are linked together into a story, one can visualize the characters as they live out the concepts. And when we imagine action, we are indeed using those same neural networks that enable us to do the action. Thinking in stories helps us think in an embodied manner. That’s worth thinking more deeply about. Putting embodiment to work in the classroom will continue to challenge interested teachers and scholars for some time to come as all the kinks have yet to be worked out. At this point, it’s a lot of trial and error for sure. Willingham suggests, in his 2009 book “Why don’t students like school?” that rather than tailor lessons to learners, teachers should tailor lessons to content. I’d add to that recommendation that not only should we tailor lessons to content, but we should think about tailoring lessons with the aim of more deeply integrating the rich and varied sensory and motor inputs available to us all. In this way, what’s old is new again, in that this was the driving force behind Maria Montessori’s alternative approach to early childhood education. But that’s a story for another time. What do you think of this idea? Do you apply the concept of embodiment in your teaching or learning? If so, I’d like to hear about. Drama and movement can aid learning. I have tried to do this in some of my lessons-acting out psychological studies or even how a synapse works. I also do mindfulness as an enrichment class. All great ideas, Faye. Thanks for sharing. I am starting to think more about ways in which I can engage my students too. Do you incorporate mindfullness into a content based class as a part of the daily/weekly routine, or is it a stand-alone class that students take? 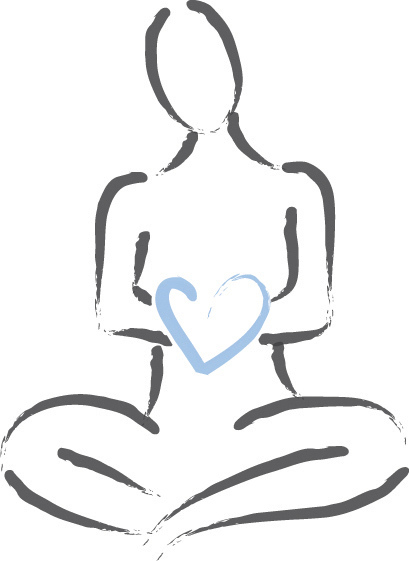 The mindfulness class I deliver is a stand-alone enrichment class. However, I have done a few mindfulness excercises with my psychology classes when have a spare moment. However, the mindfulness is not integrated with content.